While the thermometer seems to be clinging to summer, fall is just around the corner. (You have seen all the pumpkin-flavored everything, right?) To get us prepared for other seasonal highlights, let’s take the tradition of looking at fall foliage in a whole new direction: underwater! 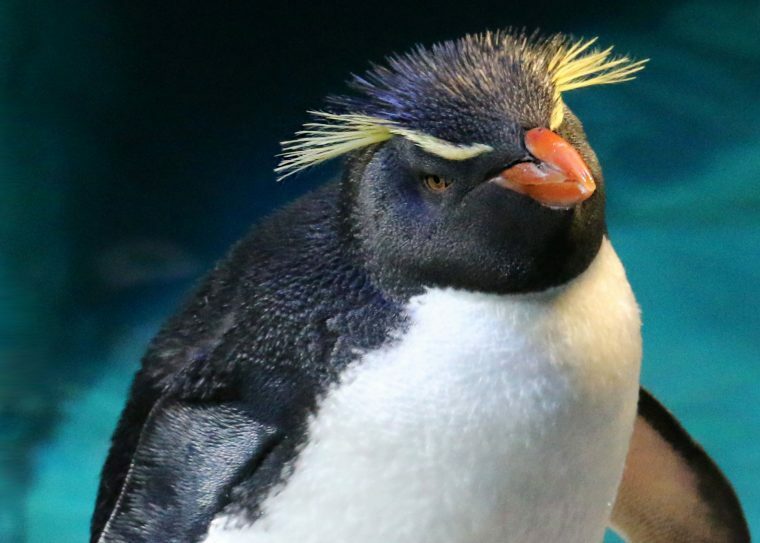 Throughout at the Aquarium, bright fall colors are on display. Oranges, rusty reds, vibrant yellows all work together to create a seasonal tableau that signals, for many, the favorite New England season. Some manage to combine all the fall colors into amazing spectacles, much like the woods of New England. 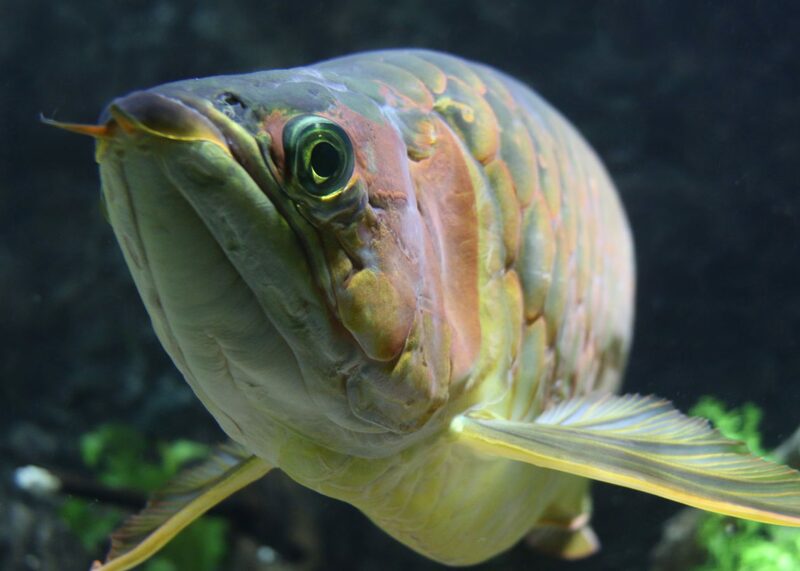 The Asian arowana, located in the Ancient Fishes exhibit, demonstrates this perfectly. Large scales on its body fade from brown to orange to gold. And while it only has two main colors, the bi-colored goatfish across from the shark and ray touch tank in the West Wing brings some yellow and red to the party. 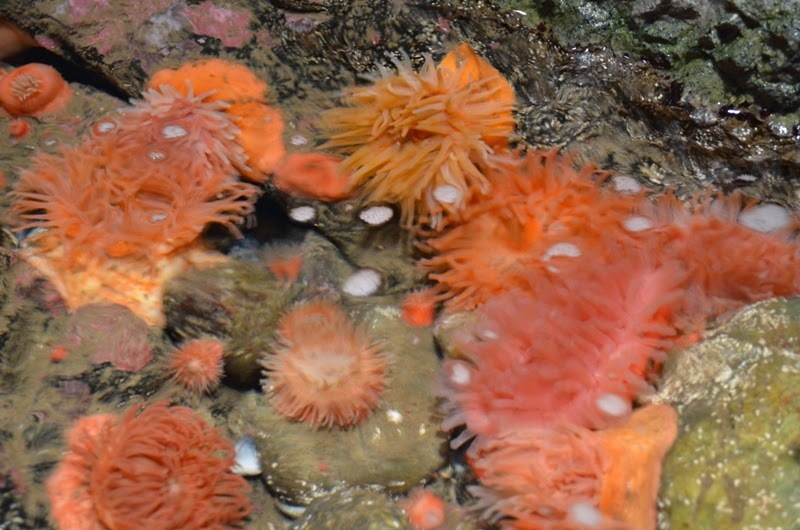 Take a look at the sea anemones in the Edge of the Sea tidepool touch tank. These jelly relatives range in color from browns to reds in New England, but the ones on exhibit here are bright orange. And don’t forget about the peachy-colored Northern sea stars in the tidepools! 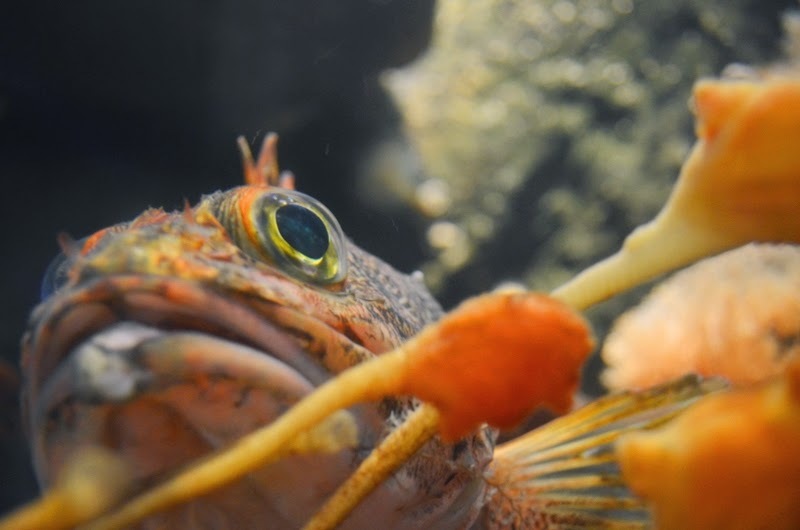 Around the corner from the tidepools is a favorite resident that packs a whole lot of fall-colored hues. 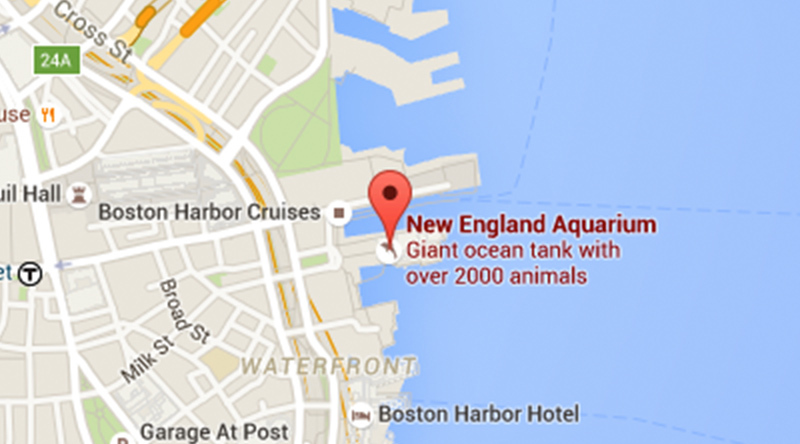 This genetic mutant is just one of our many colorful lobsters at the Aquarium. It has a mutation that makes half of it the traditional brown color and the other half bright orange. 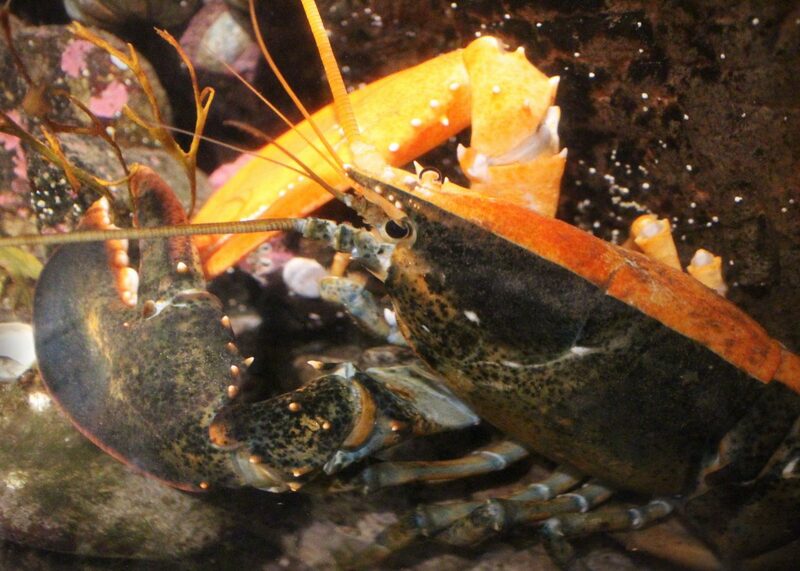 Other colorful lobsters make appearances during our Live Animal Presentations. Not to be limited to the colder climates, the tropics has its share of yellow inhabitants. 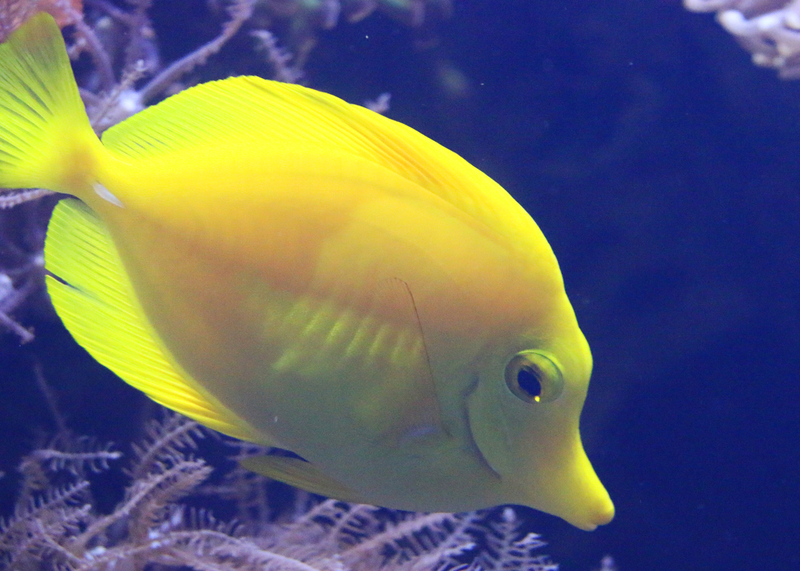 Vibrant yellow tangs can be found in the tropical Pacific Reef exhibit. Tangs come in many different colors and patterns. This diversity helps them blend into their bright, sparkling coral reef home. 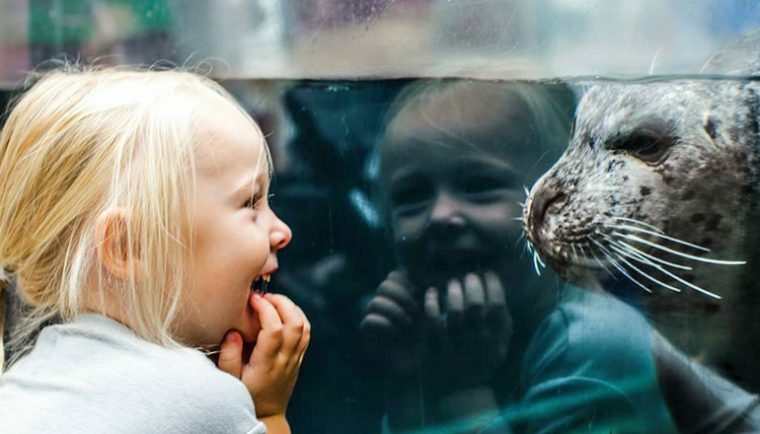 Come fish peeping at the Aquarium! 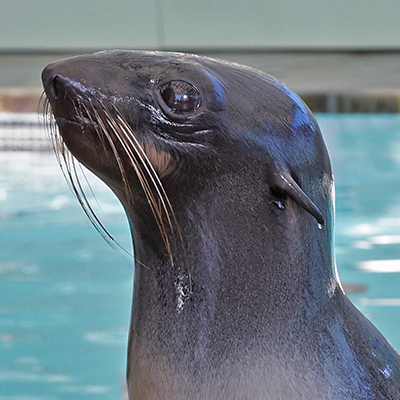 So here’s a challenge: the next time you visit the Aquarium, see how many animals you can find that have colors reminiscent of fall foliage. You’ll be well-accustomed to the bright, rusty hues of the season by the time the autumn equinox rolls around next week. 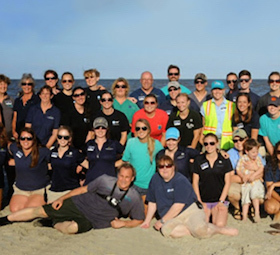 We’d love to see your pictures on Facebook, Instagram, and Twitter, so be sure to tag us!